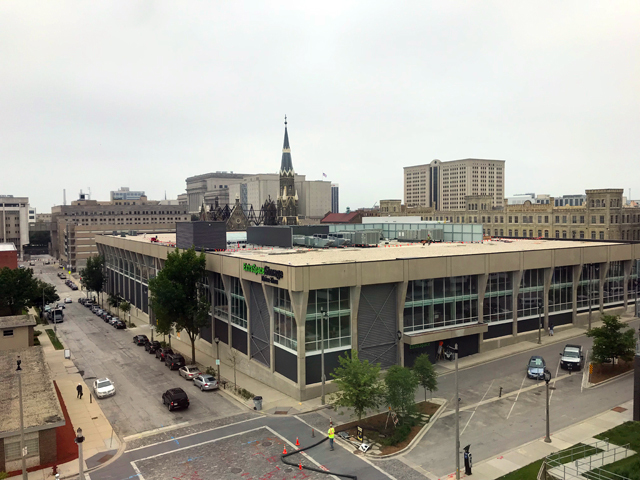 Originally expected to open Sept. 1, the new Hyatt Place Hotel at the former Pabst Brewery site will now host guests in time for Summerfest. Published June 12, 2018 at 3:25 p.m. If it seems like the Hyatt Place Milwaukee Downtown Hotel, 800 W. Juneau Ave., at the old Pabst Brewery site, has been going up fast, you're not alone. "I can't believe how quickly it's been coming together," says Director of Sales Jennifer Terpstra. And no one is feeling the pressure more than Terpstra, who was hired last month with an eye toward a Sept. 1 opening date for the six-story hotel, which has 150 rooms. Recently, that date was pushed up to Aug. 1 and now, she says, it's been moved again to June 28 (with a soft opening set for two days earlier). "We wanted to be open in time for Summerfest," Terpstra says, noting that reservations are now being taken for those dates. "We may be the only hotel with rooms available for Summerfest." 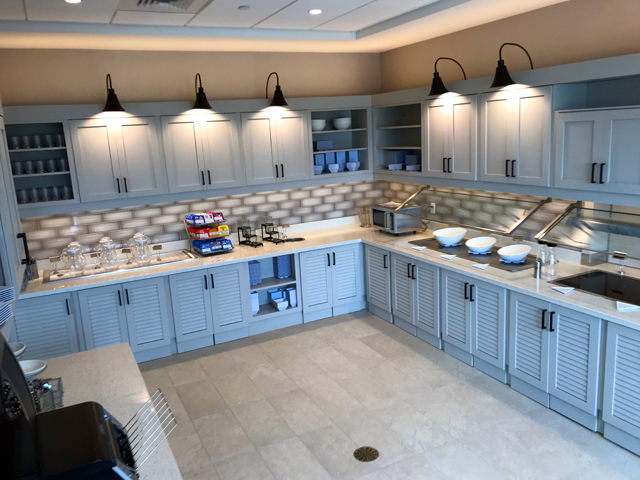 Construction on the hotel, which is being developed by Deerfield, Illinois-based Janko Group, began in spring 2017. 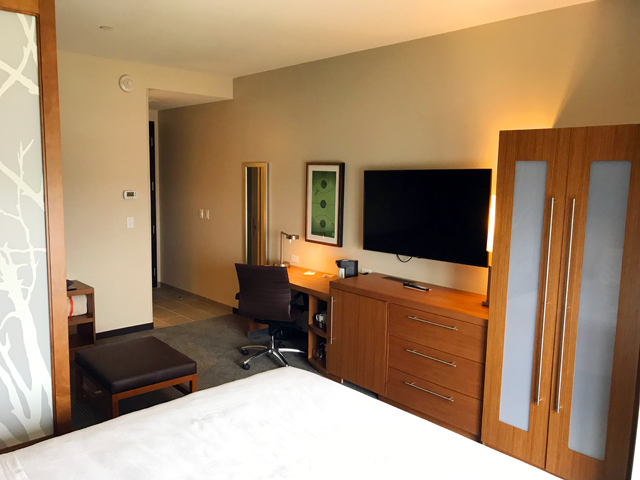 The Hyatt Place brand, which Terpstra says is for travelers who want to be right in the heart of things, typically draws business travelers during the week – about a quarter of guests are extended stay (more than five consecutive nights) – and families and leisure travelers on weekends. 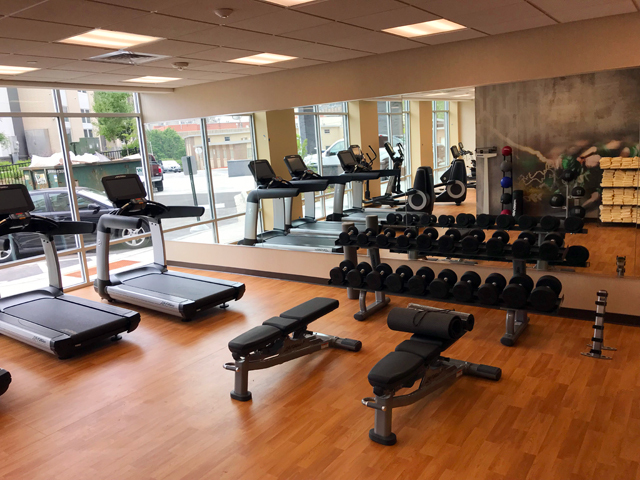 All guests have free Wi-Fi, access to a 24-hour fitness center and free breakfast, and there is also a lobby restaurant open from 2 until 11 p.m. 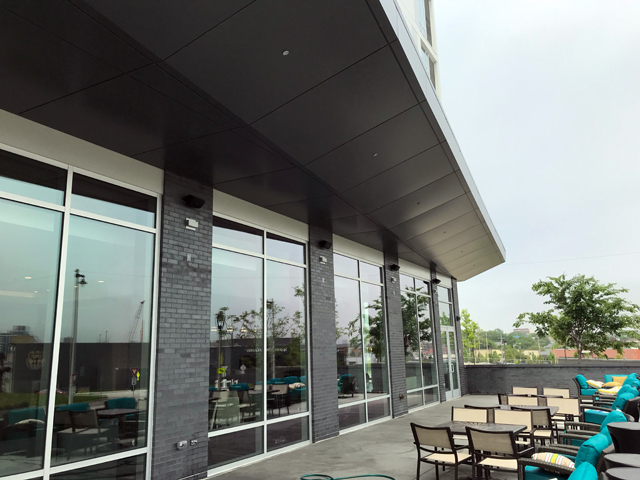 There are comfortable seating areas in the lobby, which also has a meeting table, and the adjacent patio offers fine views of the new Bucks arena and a bit of the skyline peeking over the top of it. 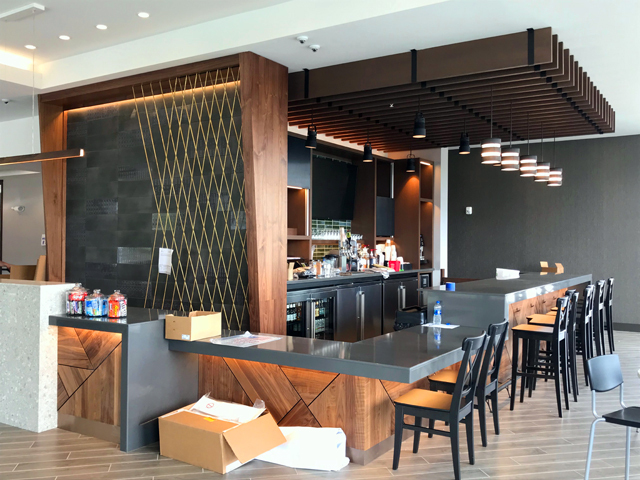 A bar – which will have four local tap beers, including Pabst's Andeker, Lakefront IPA, Milwaukee Brewing's MKE IPA and Explorium's Patio Juice – is next to the front desk and a small convenience shop area. 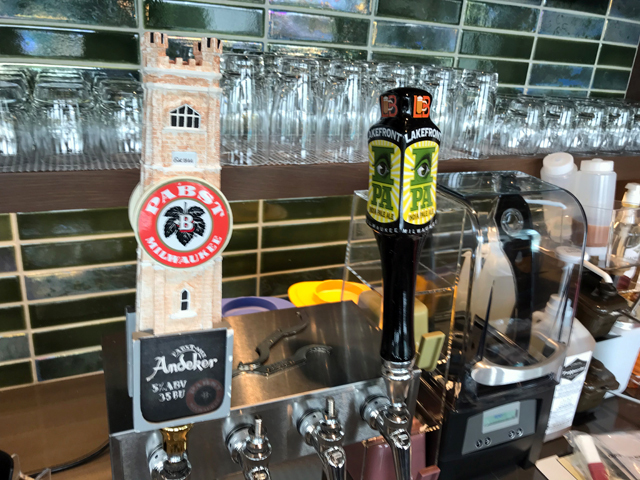 Employees are cross trained, so the same Hyatt representative can check you in, pull you a double espresso, sell you a snack and tap a beer for you later on. 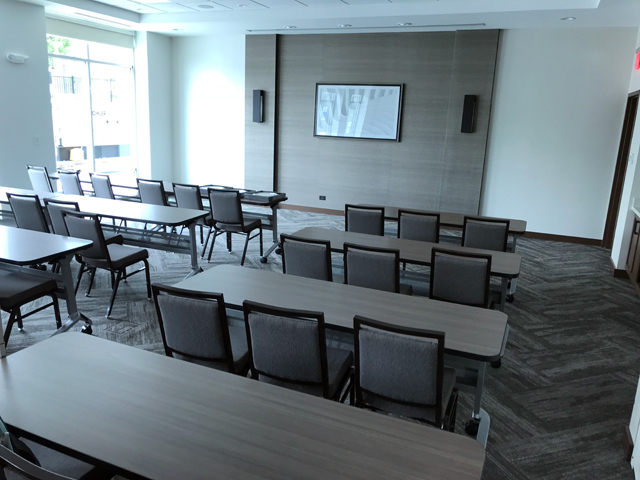 A trio of meeting rooms can be configured in a number of ways to suit renters' needs, and a lobby business center has free-use computers. There are also perks for wedding blocks. 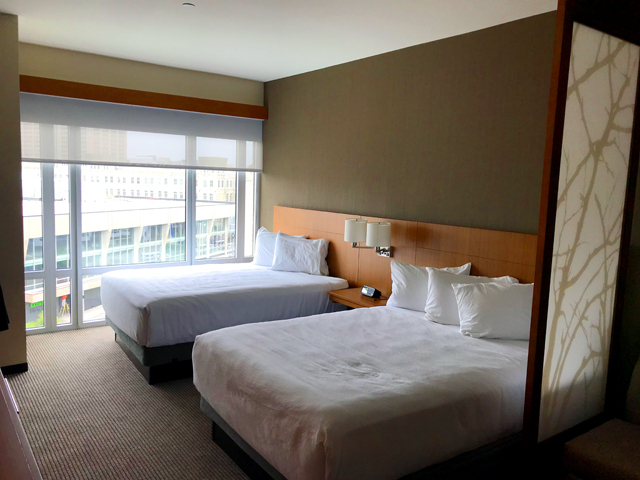 The 150 rooms come in a variety of configurations. All have mini-fridges, coffee makers, flat screen TVs and are smoke-free. 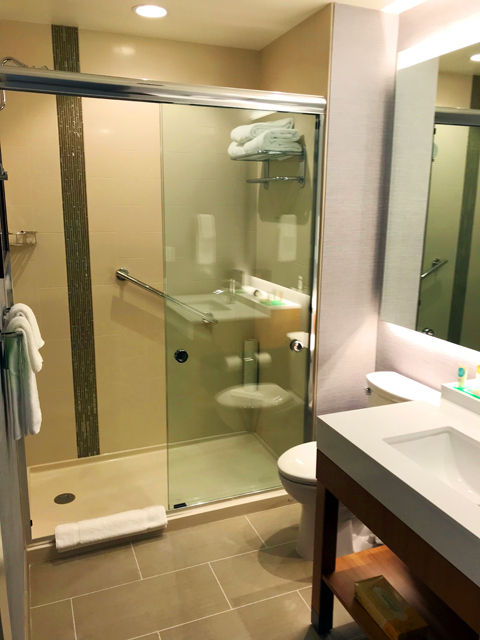 Most have showers, though some accessible rooms have tubs. 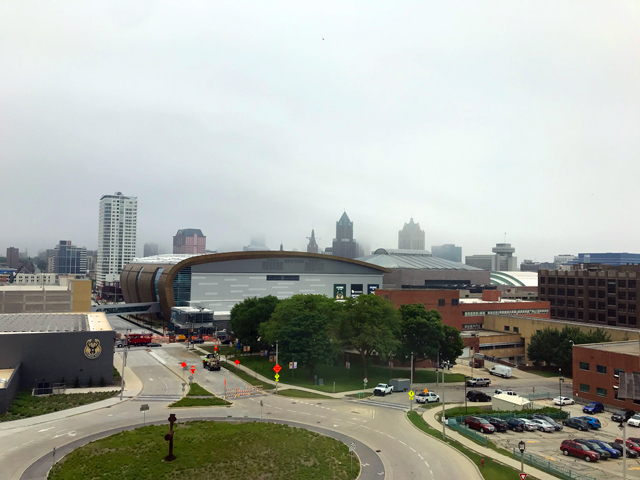 Almost all offer views of either the former Pabst Brewery neighborhood, the Downtown skyline and the new arena, or the cityscape to the north, including St. John's soaring steeples just across McKinley Boulevard. 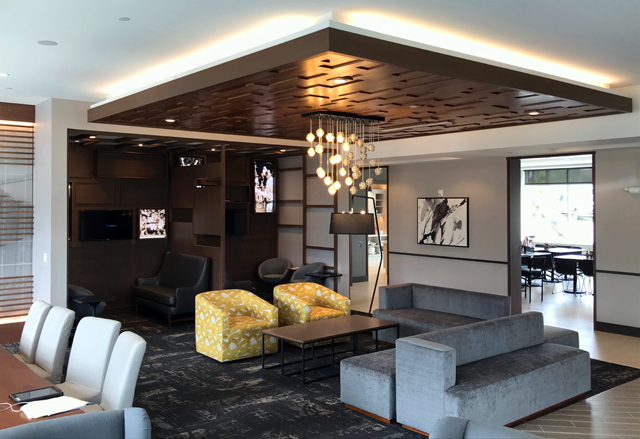 We stopped in for a first look and found the rooms comfortable and cozy with a smart, modern look and, often, separate seating areas and with fold-out sofas.